It just goes to show you that you do not have to be a zombie, a monster, or any other sort of living dead to have bad thing. 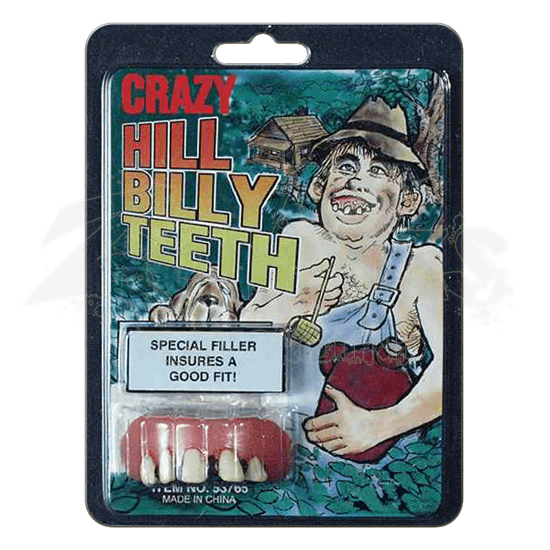 The Rotten Hillbilly Teeth is a single prosthetic row of teeth that will transform your teeth into a true dental nightmare! These teeth are a true nightmare, especially for anyone who prides themselves on dental care. Possessed of five brown teeth, this prosthetic will give anyone a gap toothed grin that would cause a dentist to grimace. Included with these quality dentures is a thermoplastic material that will give you a custom fit, as well as instructions (located on the back of the package) that explains how to fit these rotten teeth over your own. 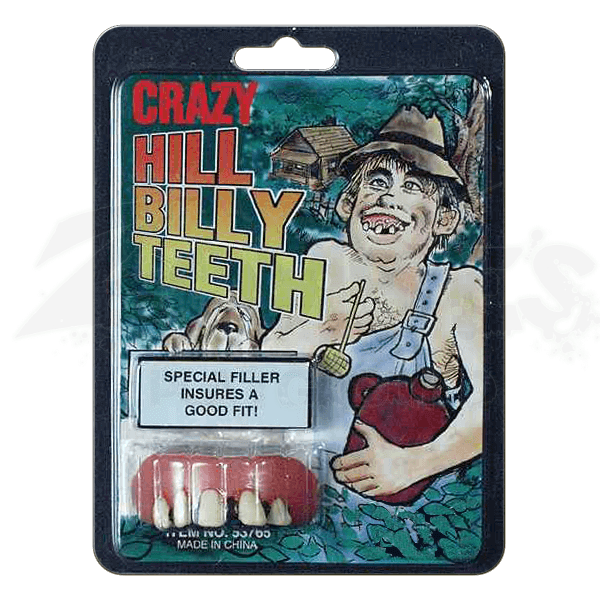 And the best part is that while these Rotten Hillbilly Teeth will give you the mutant choppers you need to complete your costume, they will not interfere overly much with the workings of your mouth. This means that you will speak, eat, and drink normally, while looking like the mutant or monster with bad teeth that you are dressed up to be!